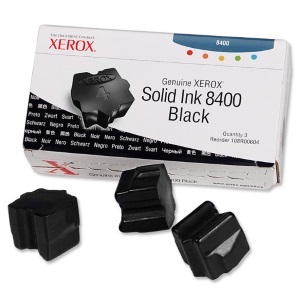 Create your own Xerox Phaser 8400 solid ink pack / bundle with our flexible quantity discount pricing. Mix and match products so you are only purchasing what you need, but also maximizing your savings. Compatible Cyan Solid Ink Sticks with 3,400 page yield. 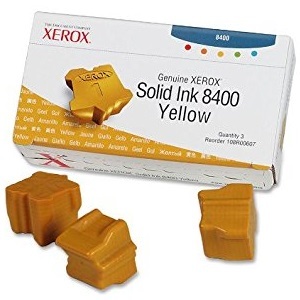 Equivalent to Xerox part number: 108R00605. 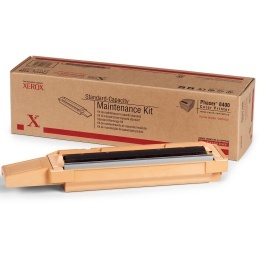 Fits the following model(s): Xerox 8400, Xerox 8400B, Xerox 8400N, Xerox 8400DP, Xerox 8400DX. 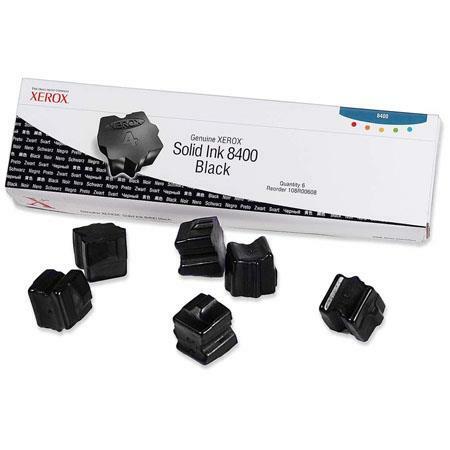 Compatible Black Solid Ink Sticks with 3,400 page yield. Equivalent to Xerox part number: 108R00604. 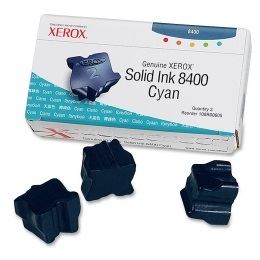 Fits the following model(s): Xerox 8400, Xerox 8400B, Xerox 8400N, Xerox 8400DP, Xerox 8400DX. 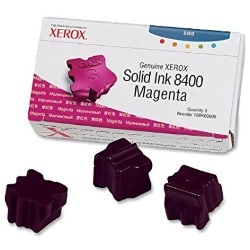 Buy our high quality compatible ink for Xerox Phaser 8400 with confidence. Join thousands of happy customers who have found our compatible products are equivalent in page yield and print quality. For our compatible products, we offer a 100% Satisfaction Guarantee allowing you to return products within 6 months if you are unsatisfied. 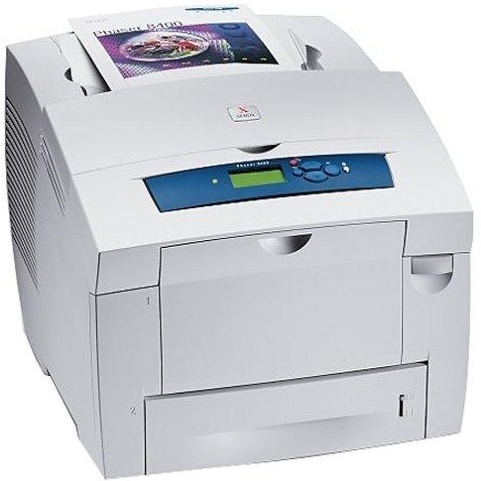 If you have been considering a solid ink printer, but wanted multifunction features for your office as well, then the Xerox Phaser 8400 could be just the machine you are looking for. It has the speed and print quality benefits of a solid ink printer, combined with the copy and scan functions that get the job done quickly and easily. Comparing to a laser printer, Xerox 8400 ink is much less expensive, keeping running costs down. In fact, the cost of Phaser 8400 ink is equivalent to a monochrome laser, despite offering full color printing capabilities. Xerox 8400 ink sticks don't leave behind any waste products or cartridges, and all the printer ink is consumed, ready to be replaced. Phaser 8400 ink sticks are also easy to find in most stores and online. Think you have to sacrifice speed or quality to get these benefits? You're wrong. The machine can print at up to 24 pages per minute, and print quality is very sharp and defined with excellent color accuracy that often exceeds color laser printers. First page out time is around 6 seconds, meaning no waiting for jobs to start. Offices of any size will appreciate the many different configurations available, offering a good fit for any office environment. The 8400B is the base model, the 8400N adds to it with a built-in ethernet port, the 8400DP goes one step further with an automatic duplexing (two-sided printing) feature, and the 8400DX combines all of these features and adds 500 extra sheets of paper capacity. If you value print quality and speed in a printer that can also scan and copy, then you should take a look at the Xerox 8400. Economical ink sticks will keep your office under budget, and multiple configurations give you only the options you need to get the job done without paying for features you don't need.